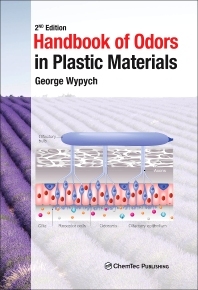 Handbook of Odors in Plastic Materials, Second Edition, analyzes the reasons behind unwanted odor formation and the methods for preventing it. The book covers the fundamentals of odor formation and its transport within a material, the relationship between odor and toxicity, and seventeen methods of odor removal. Odor can play a significant role in the success of a product; it can decide whether a customer purchases the product in the first place, or can be the cause of complaints or returns. Similarly, in scented products, the retention of volatile components is a particular challenge and opportunity. There are several factors which have an impact on the formation of odors in plastic materials, including the properties of the polymer, use of additives in processing, exposure to radiation and oxygen, storage, and recycling. Thirty-seven polymers and forty-one critical product groups are analyzed based on the latest research publications and patents. The book also discusses regulations related to odor in products, effects of odor on health and safety, and the effect of odors from plastic materials on indoor air quality.